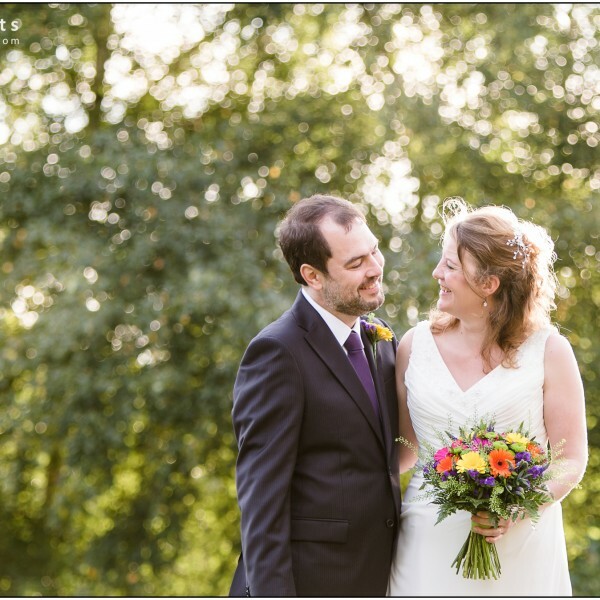 I’m so glad to be sharing this beautiful wedding from last October. 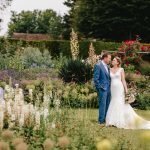 I’d met Natalie and Sam at Blackstock Country Estate a short time before the wedding day for the pre-wedding portrait session and could see the venue’s potential, but everything just clicked perfectly into place on the day. 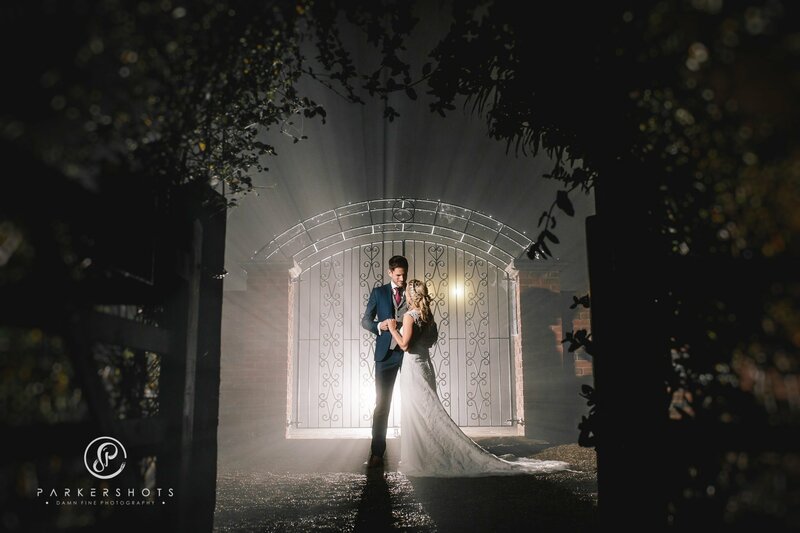 It also helped with us having some amazing Autumnal sunshine in the day and some dramatic fog in the evening (which I took full advantage of for some night-time portraits). 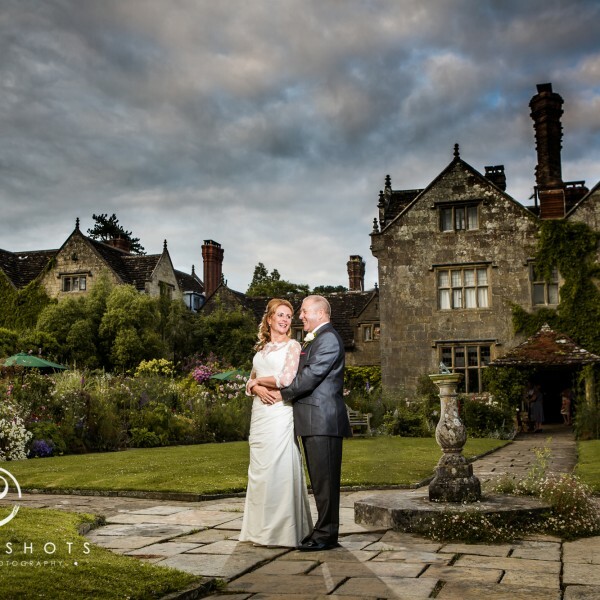 Having grown up not far from here, I felt a special affinity for the venue – couple that with an amazing bride and groom, helpful pleasant staff, and some great weather and you have a very happy wedding photographer. 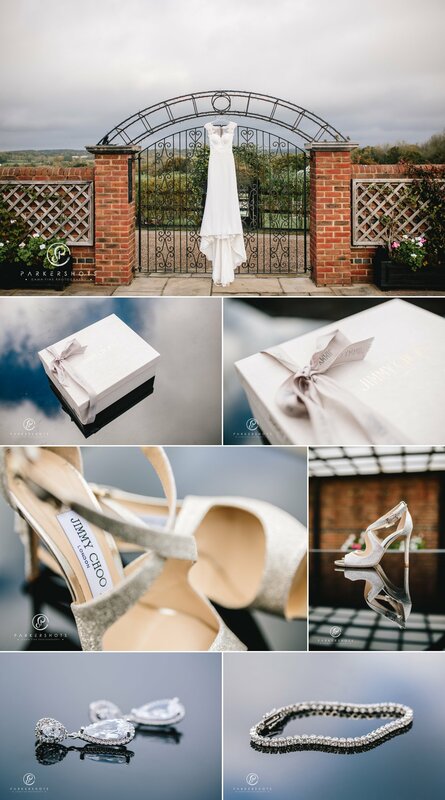 I loved so much about their wedding – Natalie and Sam’s styling was spot on. 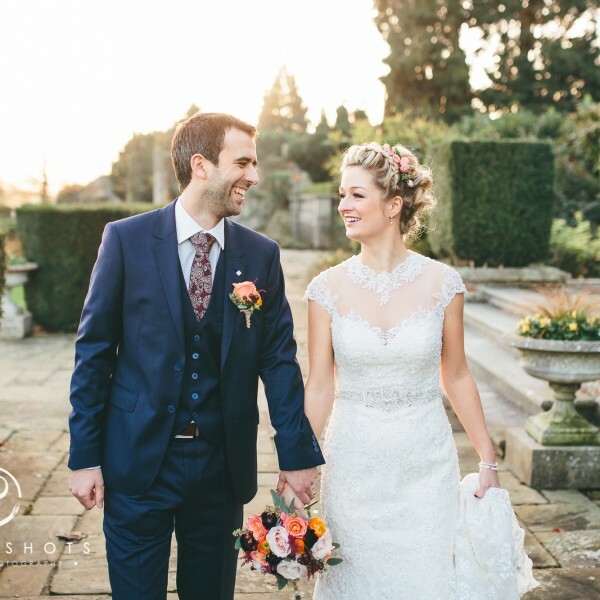 Her dress and Jimmy Choo shoes looked incredible, as did Sam’s choice of navy suit, grey waistcoat, and burgundy tie with the addition of a pocket watch. 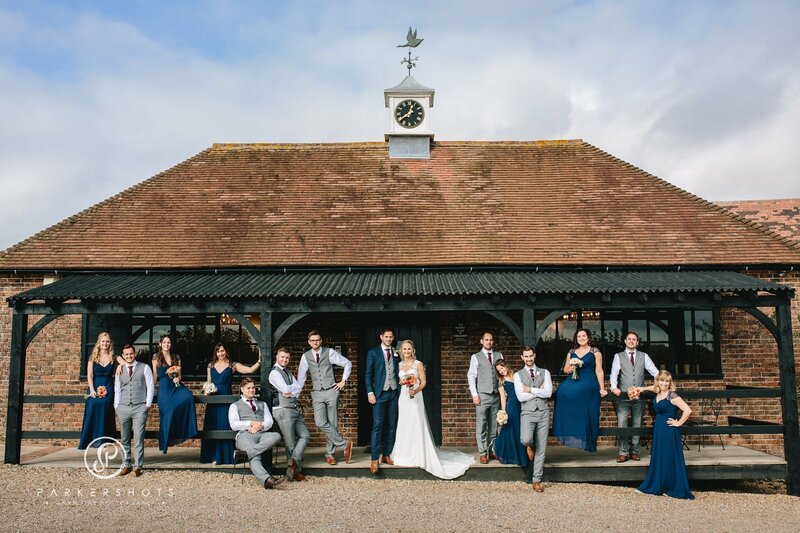 Having the groomsmen wear the same grey waistcoat with matching grey trousers and no jacket gave a great contrast to the groom in navy, but also set a relaxed tone. 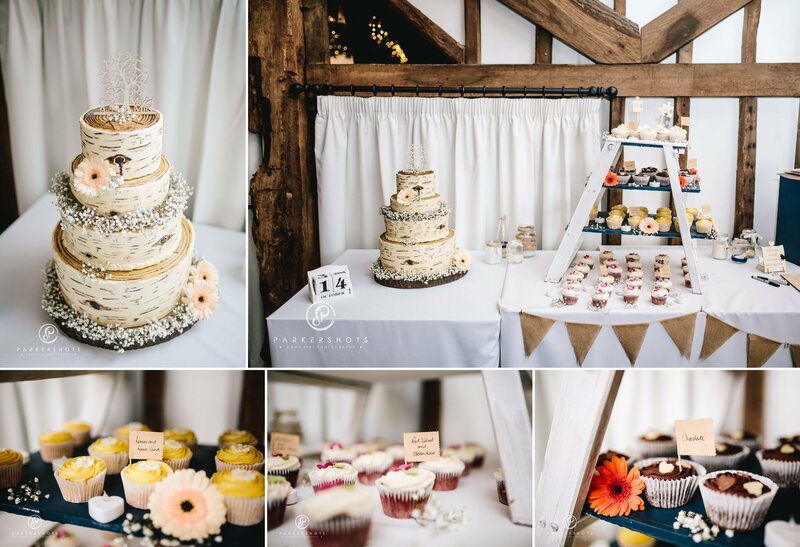 Natalie and Sam obviously had given their choices much thought and most importantly, picked things that worked well for them, the venue, and the time of year. That can be a tricky thing to get right, and they nailed it. 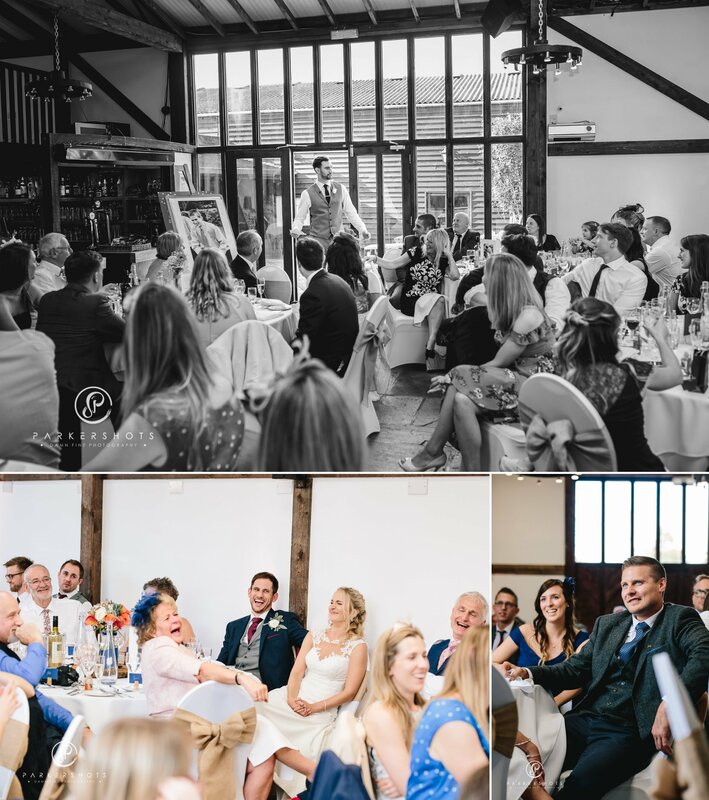 The surprise speech from the bridesmaids was a real stand out for me. 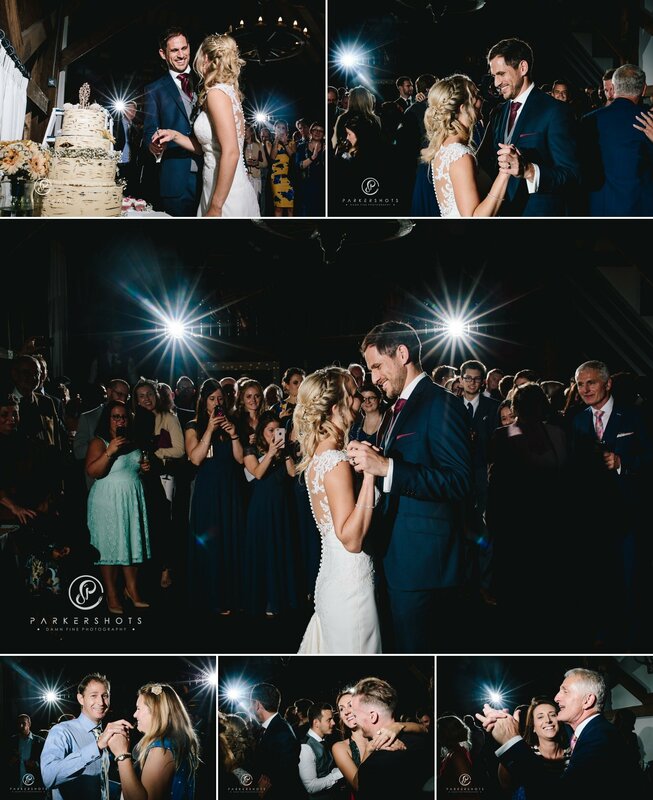 They each had prepared a little something to say and during the speeches, stood up one by one around the room to say their part. 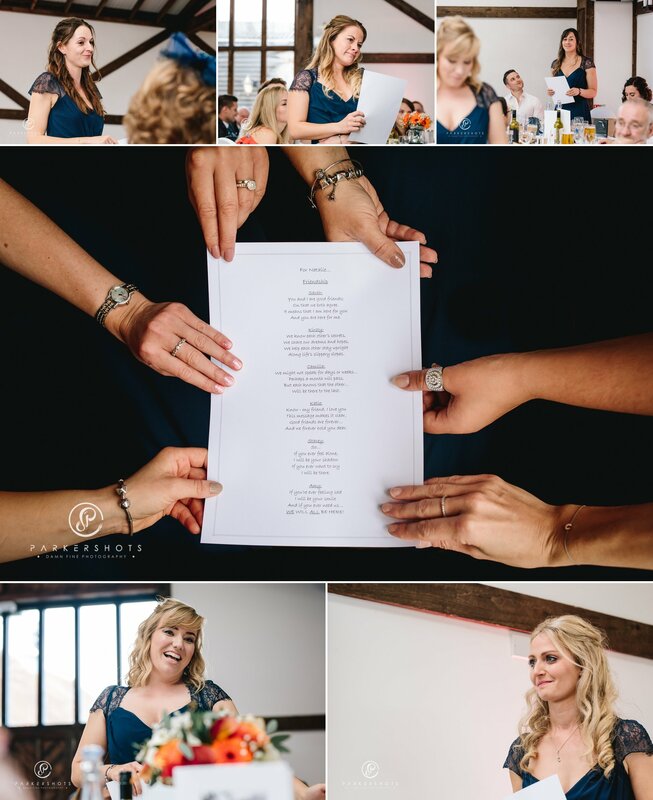 The strength and history of their friendship with Natalie came through in waves as each bridesmaid said her part and it was truly beautiful to photograph. 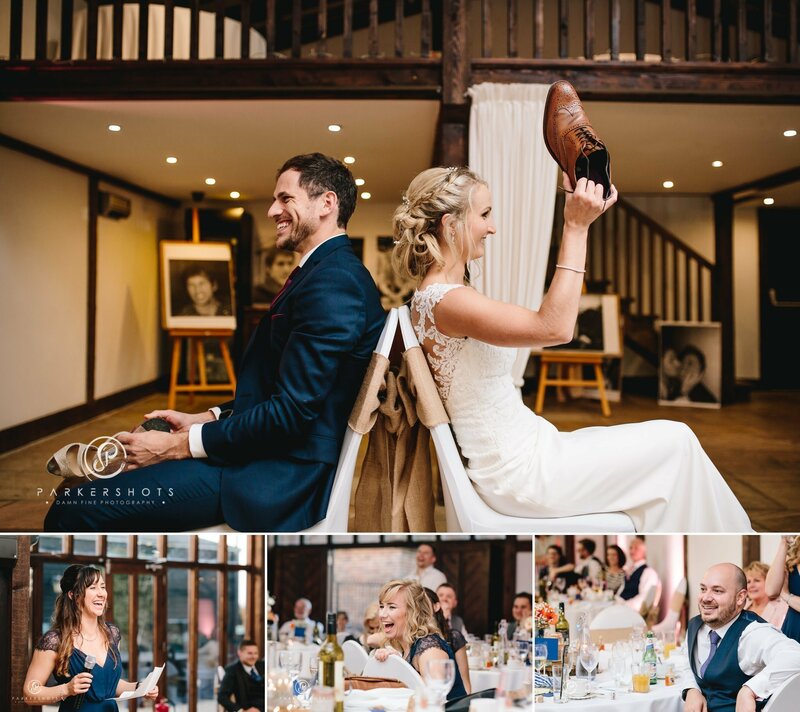 This was my first time as a wedding photographer at Blackstock Country Estate and I hope to return there again soon. What was your first dance track? 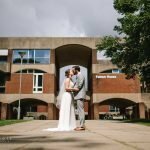 Are you looking for a wedding photographer for your wedding? Drop me a message by clicking here and tell me about your day.